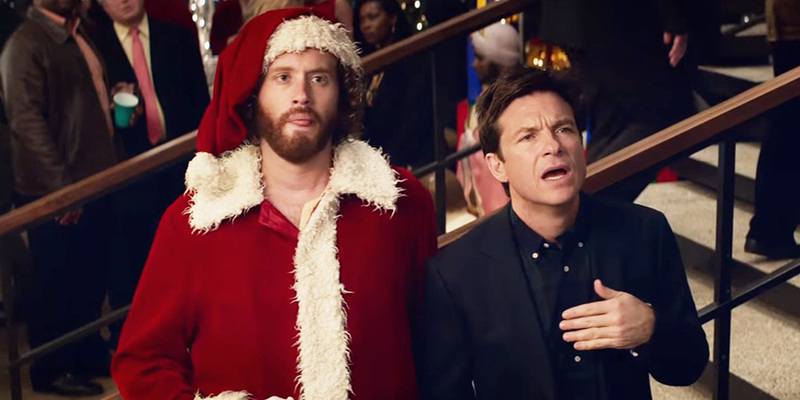 With only a few weeks left until the big day, people are already talking about the Christmas parties. It's that magical time of the year where alcohol flows, bonds are made, and things get a bit messy. 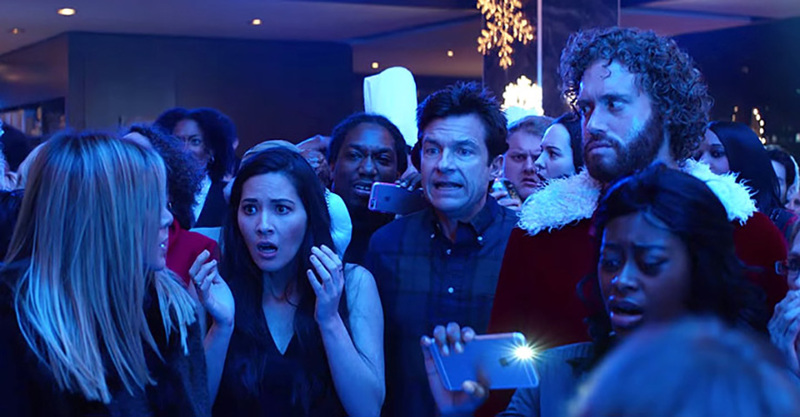 In honour of the in cinema release of the hilarious Office Christmas Party (out 7th December), starring Jennifer Aniston, Jason Bateman, TJ Miller, Olivia Munn and the brilliant Kate McKinnon; here are 10 things guaranteed to happen at Christmas parties this year. For your chance to win a Sonos sound-system bundle, head over here and answer one simple question. There's always one; that really quiet one at work, or in your group of friends who never gets involved in any of the banter, they just get on with things and pray to God that you don't ask anything of them. But then Christmas comes around and the excessive alcohol levels and the atmosphere allow them to feel comfortable and they let loose. Then you realise they are a lot of fun! They create memories that you remember for a long time, and things will never be the same with that particular party legend. Either they don't believe everyone else will, they are too nervous to, or they simply can't be bothered. There is always one who just turns up in their normal 'going out' clothes. 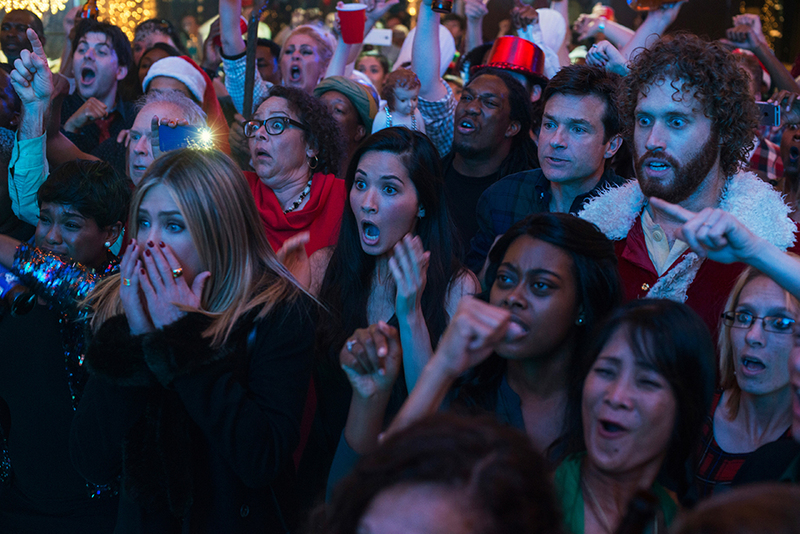 They get to the party and immediately feel foolish because everyone else is Santa, a present or an elf. Serves them right for not believing. They can be the Grinch. This has happened a few times, someone goes a bit mad on the beer or prosecco with their dinner. They get a bit sozzled and are stumbling about before you even get to the club! They're the ones you have to turn to in the queue and say "act sober!" because it could mess the night up for everyone. Probably look to the younger members of the team for this one. Quite possibly the same person from #3, if they don't learn from just about scraping into the club, they keep disappearing to the bar to get "just one more Jagerbomb." Then, half an hour later, they reappear looking a bit pale and out of sorts, so you help them with a drink of water and take them to the toilet, where they redecorate the cubicle. You realise they need to go home, order a cab and send them on their way before you get back to your night. 5. Those 'will they, won't they?' finally, answer the question. The two who everyone thinks like each other, you feel if anything is going to happen between them, this is the night. There is a lot of build-up to it, asking each of them if they want something to happen. Then you do everything in your power to make sure they spend time together. It will become pretty obvious straight away if something will happen or not. If not, then you just move on, but if there is definitely something then you can expect them to go missing halfway through the night, then maybe a few awkward encounters the next day. That one who wants to impress everyone, but doesn't have enough funds to follow through (when they're sober). Once they have a few Bacardi Breezers, they think they're Floyd Mayweather and start throwing money around, going up to the bar and buying 20 Jagerbombs as well as a bottle of champagne. Then the bill comes and they realise they don't have £100 to spend on drinks, but they can't go back! So they pay, leaving regret in their heart and £2.30 in their account. This one needs a lesson in money control. "I'm just gonna come for the meal then I'm gonna head home. I'm tired and I need to sleep." This person needs to get their priorities straight! Who needs sleep when you could be finding out all sorts of things about your fellow party-goers? This one will turn up to the meal and try to play it off that they are not feeling well or that they're tired and have to get up early in the morning. Do not believe it! They can stay, and they will. With a bit of persuasion, you can keep them out and have a great time. 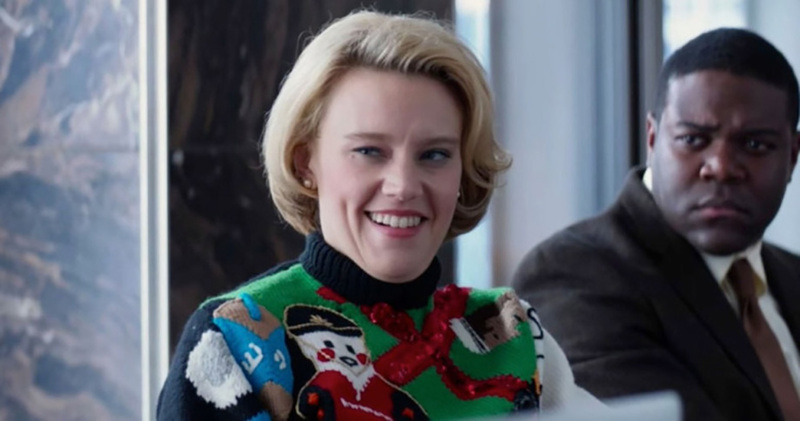 This is a problem that comes with starting a new job, you don't know how much effort goes into secret Santa. Some places make a big deal about it, some don't. Some people make things, and some just get each other £10 worth of chewing gum (true story from a previous job). But there is going to come the time where someone makes way too much effort and goes overboard with the present. It's a good way to see what people really think of each other. You've had a little too much and you are mumbling your words. But that doesn't stop you from telling someone that you love them and that you think they're "such a nice person," before waffling on about the time you met Peter Andre at the local shopping centre. An alcohol triggered heart-to-heart with someone who you've barely spoken to before is a sure-fire thing, and that creates a bond that will never be broken... or they'll just think you're weird and walk away. Just don't give away secrets, never a good idea. And finally, when it is all said and done, and you wake up the next afternoon, you wonder how you got home and into bed. Then you think back to the hazy memories of the night before, wondering what you said and what you did. You look at Facebook and Snapchat and a feeling of shame comes over you when you see the video of yourself attempting to twerk to Beyonce and the blurry selfies that make you look like you have had a stroke. 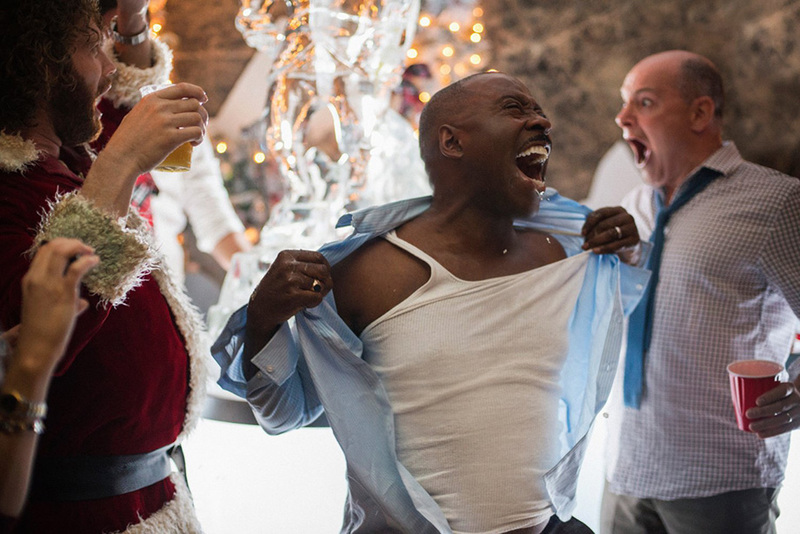 There you have it, 10 things that are sure to happen at this year's Christmas party. 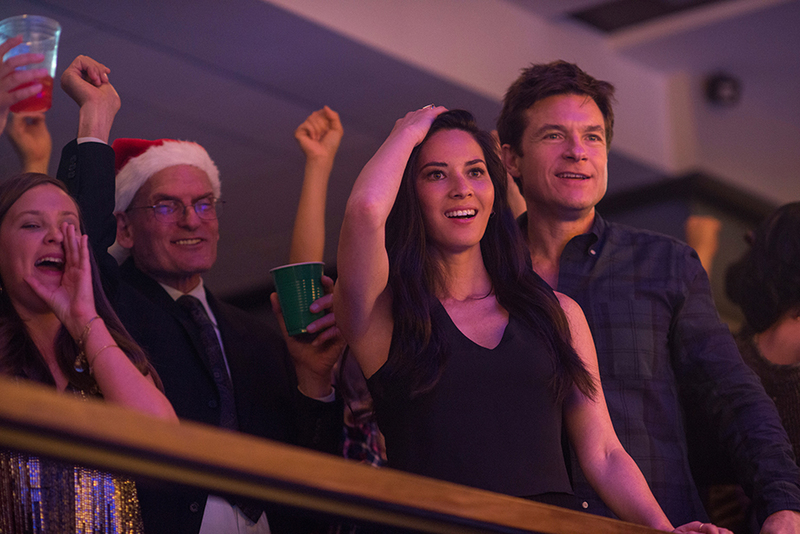 Office Christmas Party is out in cinemas on 7th December.